Optus Perks tickets on sale 9am Friday 21st September until 12am Saturday 22nd September. General public tickets on sale 9am Wednesday 26 September. 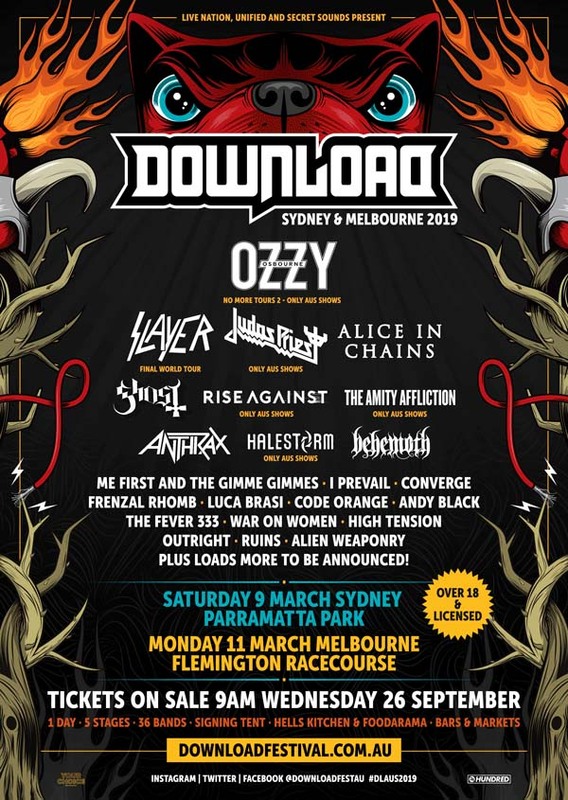 With a Double Down(load) ticket you won’t have to miss a thing with discounted general admission entry to both Download Sydney on Saturday 9th March 2019 AND Download Melbourne on Monday 11th March 2019 (Labour Day Public Holiday). It’s a long weekend after all, so why not make the most of Download 2019! Listen to the 2018 lineup playlist. Keep your eyes on Download's website and Facebook page for further info.